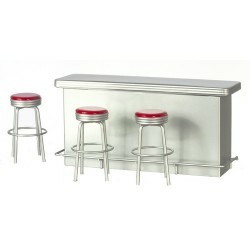 Redecorate and redesign your dollhouse with this 1950's Counter/3 Stool. Your decor and collection of miniatures will be taken to another level of fabulosity. 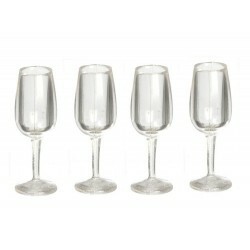 You will love this Champagne Glasses Set 4pc as it complements your other miniature dollhouse furnishings. Now is the time to design a great new look! 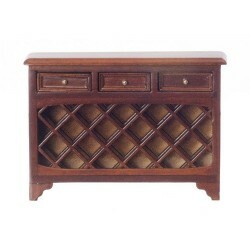 Adding this Wine Steward Console Table to your miniature collection is just what you need to make your dollhouse a home, and showcase your fabulous taste. 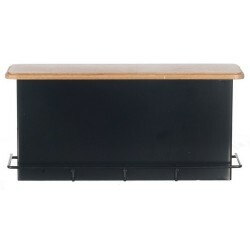 You will love this 1950's Counter/black/oak as it complements your other miniature dollhouse furnishings. Now is the time to design a great new look! Adding this Walnut Bar with 2 Chairs to your miniature collection is just what you need to make your dollhouse a home, and showcase your fabulous taste. 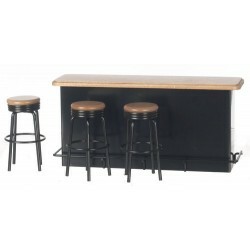 You will love this Black Bar with 2 Chairs as it complements your other miniature dollhouse furnishings. Now is the time to design a great new look! 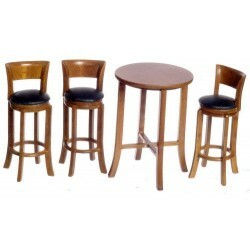 Enhance your dollhouse collection with this Tall Table w/3 Stools/wa. Added to your other dollhouse miniatures, it is a complement for a variety of styles and tastes. 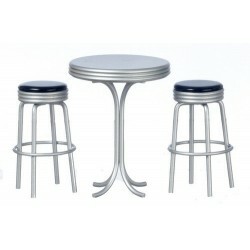 You will love this Tall Table w/2 Stools/sil as it complements your other miniature dollhouse furnishings. Now is the time to design a great new look! 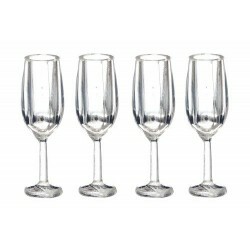 Adding this Champagne Glass Set 4pc to your miniature collection is just what you need to make your dollhouse a home, and showcase your fabulous taste. 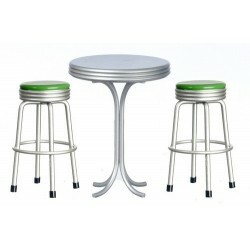 You will love this Tall Table w/2 Stool/dk.g as it complements your other miniature dollhouse furnishings. Now is the time to design a great new look! Adding this Tall Table w/2 Stools/blk to your miniature collection is just what you need to make your dollhouse a home, and showcase your fabulous taste. You will love this 1950's Counter/3 Stl/dk.g as it complements your other miniature dollhouse furnishings. Now is the time to design a great new look! 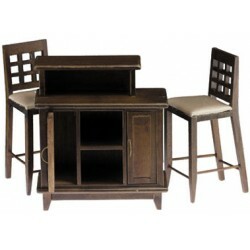 Enhance your dollhouse collection with this Black Bar and Chair Set. Added to your other dollhouse miniatures, it is a complement for a variety of styles and tastes. 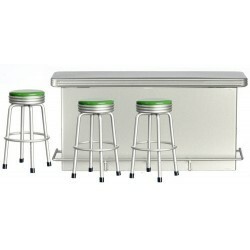 You will love this 1950's Counter/3-stls/grn as it complements your other miniature dollhouse furnishings. Now is the time to design a great new look! 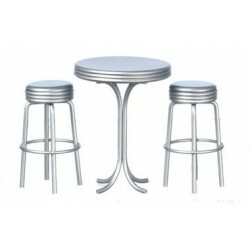 Adding this Tall Table W/2 Stools, Silver to your miniature collection is just what you need to make your dollhouse a home, and showcase your fabulous taste. 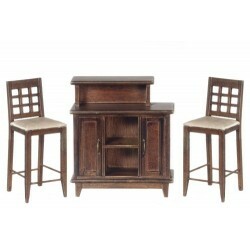 You will love this Walnut Bar and Chair Set as it complements your other miniature dollhouse furnishings. Now is the time to design a great new look! Adding this 1950's Counter/3-stls/red to your miniature collection is just what you need to make your dollhouse a home, and showcase your fabulous taste. 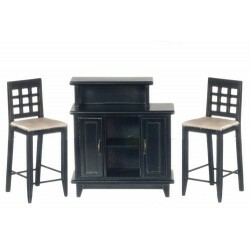 Spruce up your dollhouse with this miniature Black Pedestal Table with 2 Chairs. 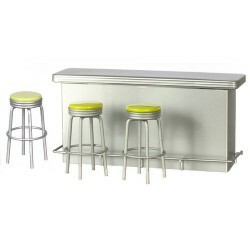 We have many miniature Bar Setss for that finishing touch.